Giving your toddlers gifts will always be the most exciting and heartfelt events. The best gift a parent can ever receive, without question, is a beautiful baby. So it’s only natural to want to spoil and pamper them with everything they could ever need or want. Which means lots of gifts, especially as they become toddlers. After all, what is more exciting and heartfelt than seeing your child giggle and smile as they open their gift? If you’re looking for ideas on what to give to your lil one, you’ve come to the right place. 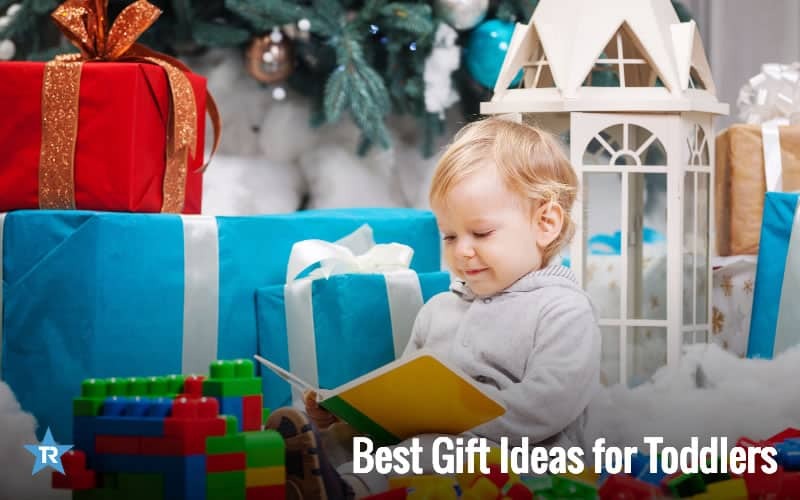 We have listed some of the best gift ideas for toddlers, ones that will make them and you smile. Read on to find out! Your kid is probably in the exploration stage if they are in their toddler years. So playing with colors and making the most of his/ her creativity is natural. 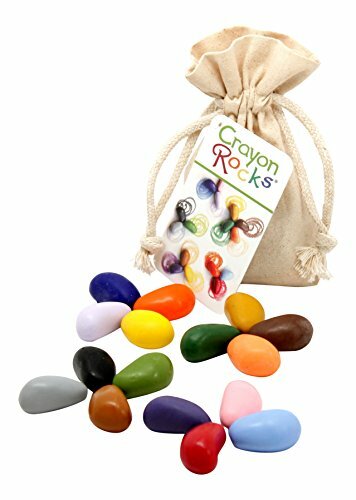 Giving your children a non-toxic set of crayon rocks will give them endless hours of fun! Toys are your child’s primary source of delight and recreation. The more big and colorful the toy is, the more enjoyment and excitement they feel. Therefore, a wooden toy set is perfect for them! Train sets let them discover motion, colors, and shapers, teaching as it entertains. 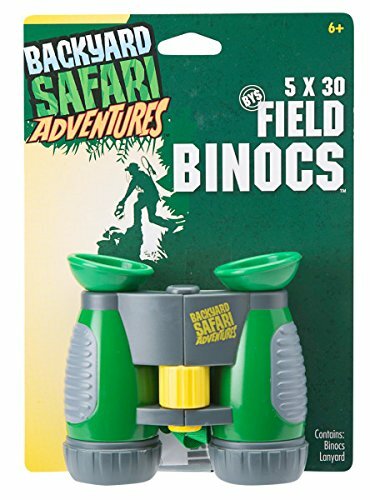 Let your toddler explore the wonders of nature with these binoculars. With its 5×30 magnifying power, they can observe some interesting creatures in their backyard or on a trip to the zoo. And these binoculars have a rubberized body so that small hands won’t have a problem holding it. Of course, it does not contain any BPAs that could harm your little angel! 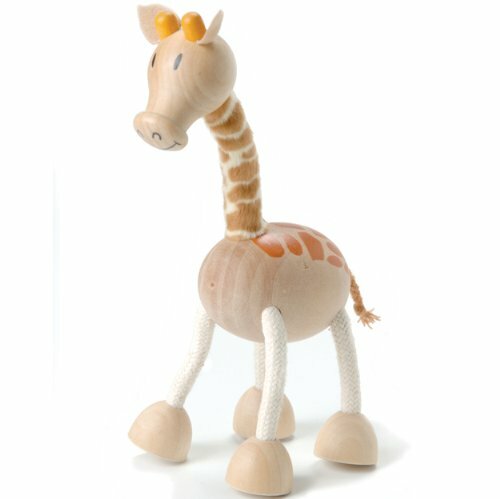 Anamalz are wooden toys that can spur the imagination of your toddler. These toys are usually a replica of forest animals, farm creatures, and dinosaurs and most parts of Anamalz are moveable. Therefore, your baby can have a fun and realistic time playing with them! If your toddler loves Sesame Street and music, then give him/ her this toy! The Let’s Rock Elmo is a combination of a stuffed toy and musical device. It plays some of the best children’s music, including The Elmo’s World theme song. 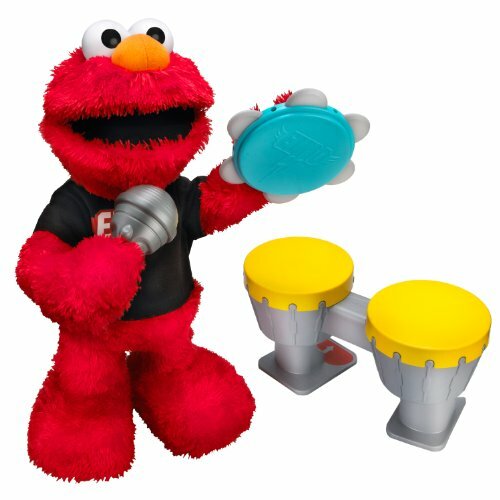 It also encourages coordination: while Elmo is playing the drums, let your toddler play the tambourine! You might see signs that your toddler will be an engineer someday, or maybe you hope they will. 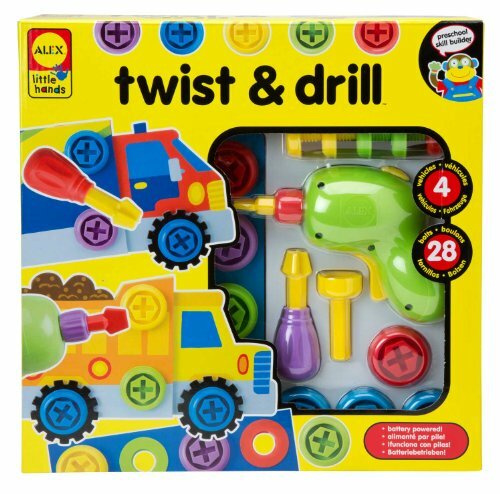 Either way, you can let them explore this field by giving your baby the Twist and Drill toy set. It comes with four paperboard vehicles, one screwdriver, and three interchangeable bits. It also has a battery-operated drill, too! However, don’t be scared! This toy set is completely safe for toddlers. If your child is more of a Disney fan, then you should surprise him/ her with this Mickey toy. 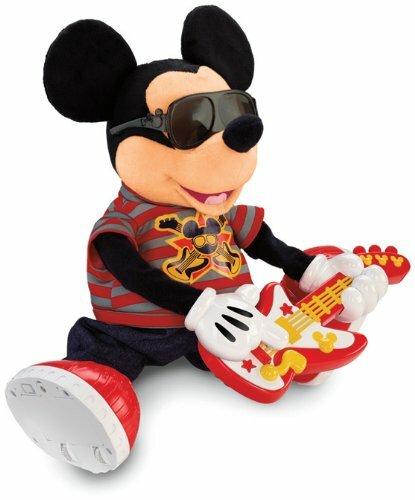 The Rock Star Mickey is just like the Elmo toy. However, this one can sing and dance at the same time. We can already imagine the giggles of your toddler once this toy arrives at your doorstep! If your toddler is a girl, a learn-to-dress toy would be perfect for her. Aside from being cute, this monkey will teach your young lady how to dress properly. In fact, your baby girl can enjoy 11 dressing activities! From snapping on straps to buttoning, you can teach her these important life skills while she still young! Let your toddler explore the world of creativity with this toy! 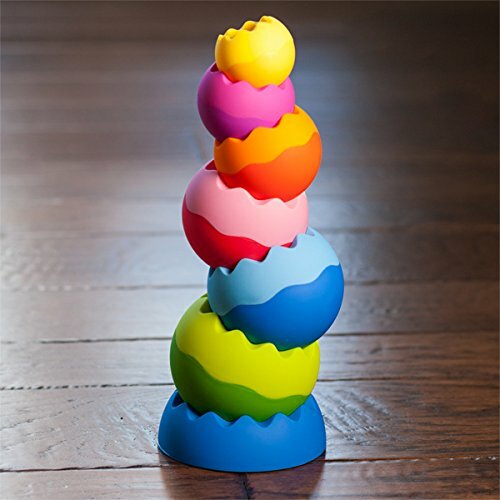 The Tobbles is one of the smartest and innovative toys for children. It can give your baby’s playing time a touch of learning, developin the sensory, motor, and spatial skills. And your child can play it on several ways, like stacking, toppling, and spinning. And did we forget that this toy is very colorful? The spirit of music and learning is captured in this fun toy. 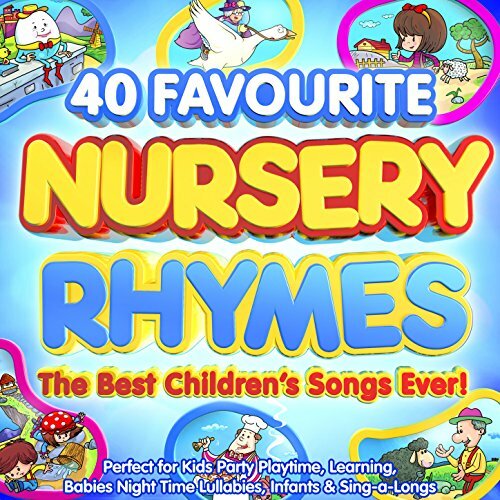 Instead of the conventional musical alphabet, let your toddler learn the ABC through music? In this way, you can spur your baby’s interest in music! Who knows? Your little angel might the next rockstar flying across the stage! The artistic prowess of Katrina Rodabaugh will be transferred to your child, once you buy this book. 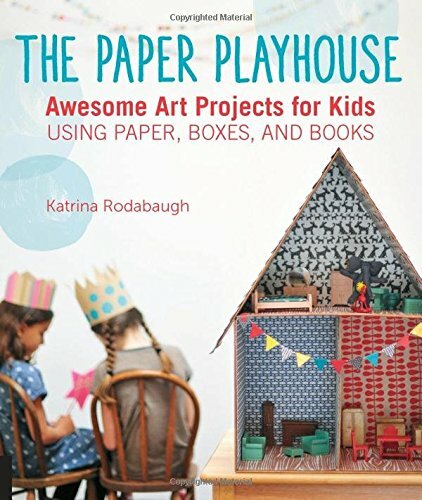 The Paper Playhouse is an instructional manual that will train your toddler on the art of sculpting, book-binding, and collage. Of course, you need to guide your baby every step of the process! Give this toy to your toddler, and we guarantee that he/she will have a lot of fun. 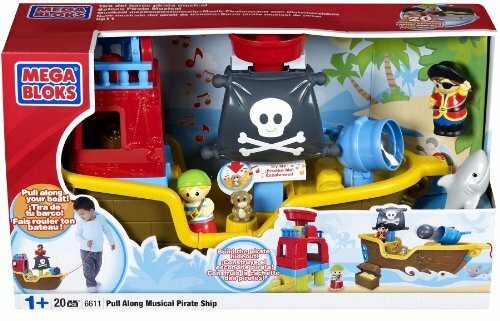 The Mega Bloks Pull Along Musical Pirate Ship is a 20-piece buildable toy. It got a mounted cannon on its front that actually fires! Moreover, this toy can play music, too! Just pull the wheels, and your baby will hear some pirate-themed songs! If you want your child to have a life-size playmate, then this toy is the answer. 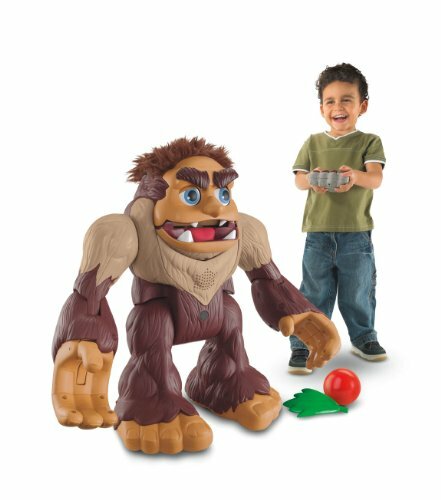 The Imaginext Big Foot The Monster is an interactive toy that you can move through a remote control. It can play balls and talk several speeches, too! Aside from that, you have interchangeable mood setting to cheer up your toddler! Some of our toddlers don’t like or are scared of taking a bath. However, with this toy, that fear will surely be gone! 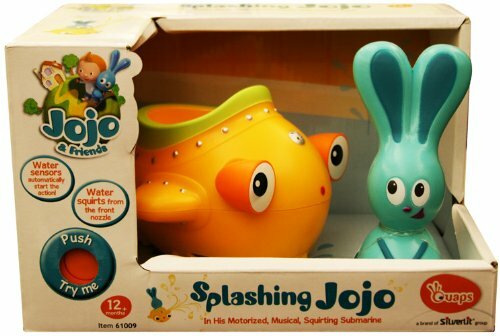 The Splashing Jojo is your child’s playmate in the water. 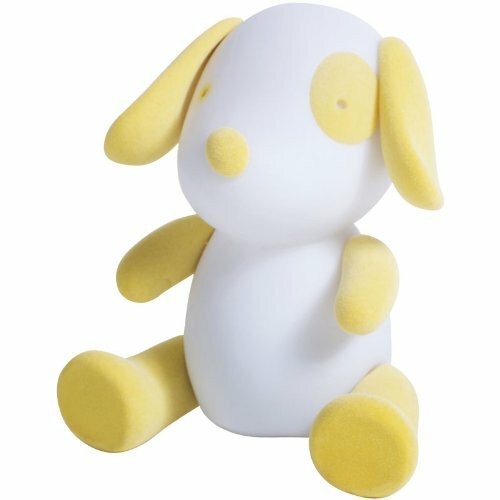 This toy can spit water and sing while floating! Why don’t let your toddler have a better sleep with this cute LED light? The Gimmo can produce several light colors to soothe your child to slumber. It is safe and does not generate heat residues. It is also so soft that your toddler can play with it! 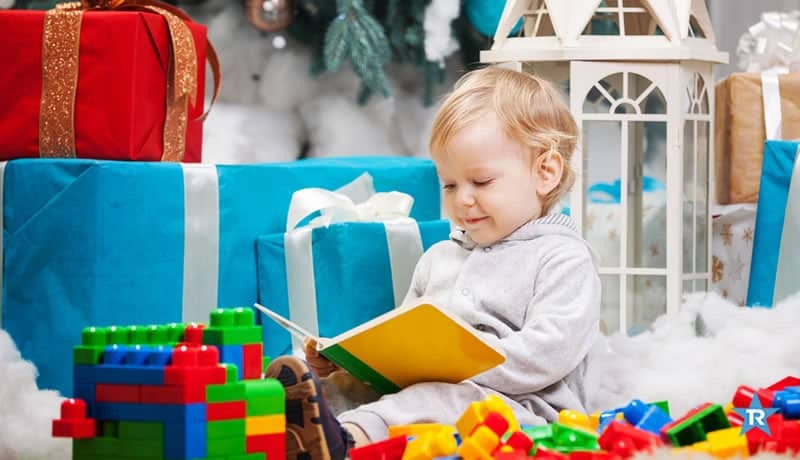 With these gift ideas for toddlers, you can give your lil one great presents during their birthday or special holidays like Christmas. These gifts are geared to help them learn and have fun, delighting them and you! Remember, your baby is only little for so long; help them grow and be happy with any or all of these gifts.